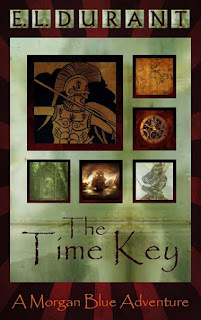 Today we are interviewing E.L. Durant, author of the young teen fantasy novel "The Time Key." As you’ll be able to tell from the spelling, I’m English, but also a married, father of two who works in Clinical Research. I live and work in Dorset, England, right in the heart of Thomas Hardy country. Although that part is probably wasted on me as I’m not much of fan; I’ve always preferred contemporary writers. I do like the part of it that means I live by the sea though. And the bit in the coach at the beginning of the school trip, where Luke gets into trouble, is a true story. I still feel mild shame about it all; but not much. Describe the plot of your new book, "The Time Key," in a few sentences. On a trip to an historic country house, two young teens are pulled into a painting of a war scene. Unable to return to the house the way they came, they have to work out how to survive, and how to tolerate each other, in this strange new world in order to trace a route back. However, they soon learn that the painting they are in is just one among many, and that they are all portals to other worlds; a multiverse of alternate realities of time, where history is no longer what they once thought, and where the path home will not be straightforward, or maybe even possible. They must use all of their modern knowledge and cunning to extricate themselves from less sophisticated, but much more heartless worlds. I hope it will appeal to young teens who like something fast paced, and the puzzles of discovering how characters can extract themselves from tricky situations. I also hope that there will be interest in seeing how small changes in history might impact on the world. What would the modern world be like if WW1 hadn’t happened; if computers had not been invented; if there was permanent war? And how would today’s thinking offer an advantage to somebody returned to the past? Although you've written in other genres, this is your first children's tale. What inspired you to write a fantasy fiction for young teens? This story is based on ones I used to make up for my children when they were young. My son was happy for me to read anything to him, but my daughter preferred me to freestyle stories to her. This developed to the point where I used to spend my day thinking about the next one, or the next part of one that was left unfinished. Then I started to write them down. Once I’d published my adult books (see the ebook question later), I returned to the notes and the chunks of tales I had for my daughter’s stories and tried to turn them into a coherent account. Was it difficult to transition into writing for a younger audience? I’m not sure that’s one for me to answer. I guess I have to wait for any reviews. It didn’t feel difficult. I’ve never spoken to my children any differently than I would to an adult, and I feel the same about the writing. One difference has been genre - I don’t write adult fantasy – but the imperatives of narrative and characterisation and plot are just as critical. But I think the primary difference has been themes, although one of my adult books, Madness of the Turtle, is a coming of age story with a seventeen year old protagonist called Rico, (my favourite character of mine) so that has perhaps been a bridge between the two. Tell us about the two protagonists, Luke Morgan and Chyna Blue. More than anything they are equals. Each may have their strengths, but they are complementary and, as they work together to survive, they come to realise that. In the beginning, they rarely mixed at school and consequently don’t like each other. As time goes on, they grow to respect and like each other and recognise that there is more to a person than first impressions reveal. Certainly Luke is fun-loving, and doesn’t take life seriously enough; while Chyna is extremely sarcastic and cynical. They learn from each other as the story develops, and take on each other’s strengths. Graham Greene, Hemingway, Deighton, Steinbeck, Le Carré, were all adult writers I enjoyed in my teens. I liked adventure stories with pace when I was younger, but I also try to involve an element of the storytelling of those just mentioned. As a child, I especially liked Anthony Buckeridge, and Richmal Crompton, although they were very old-fashioned even then. Buckeridge wrote a series of books about two boys at boarding school – they always made me wish I could go away to school – and it’s that joint protagonist, combining strengths and dicing with trouble, I wanted to harness for Luke and Chyna. But I’m not aware that my style has been influenced by any single writer. An idea can come from anywhere; the news, a conversation, a song lyric, or a picture. The book I’m writing at the moment ‘The Good Father’ came from the image of a man behind the barbed wire of a refugee camp holding a child up for the press to photograph (although he’s not the Good Father of the title). When I have an idea, I tend to let it roll around in my head for a while before I write anything down, to see if it takes root. Once it does, then I’ll start making notes and see if the idea is big enough for a whole story, and interesting enough to live with for a year or more. I always want an idea of how it will end at this point as well. I think the ending is the most important part. It doesn’t matter to me if it is a happy, sad, or ambiguous ending, as long it suits the story that’s been told. Once I start writing, I try to work through from beginning to end, but if I get stuck, then I’ll skip ahead and write other parts, and then go back and fill in. Once that’s done, I’ll go back and rewrite whatever is necessary. When the first draft is finished, I then put it away for a few months and work on something else. I like to put some time and distance between the first draft and the second, because I see the story differently then and I’m better able to see what works and what doesn’t. I’ve done this many times for some books – I’m currently resting one that I initially planned to publish a year ago, but I’ve yet to make it feel right. Once I publish, then the hard part begins; marketing. Without ebooks I would still be submitting the first three chapters of my books to agents and waiting for them not to get back to me. For many years, I kept rewriting the same two books, trying to make them more commercial for the occasional vague interest from an agent. But once I made the decision to self-publish as an ebook, and uploaded the ones I had ready, it freed me up to start writing others. Consequently, I love the impact ebooks have had on the industry. It’s been good fun for me. 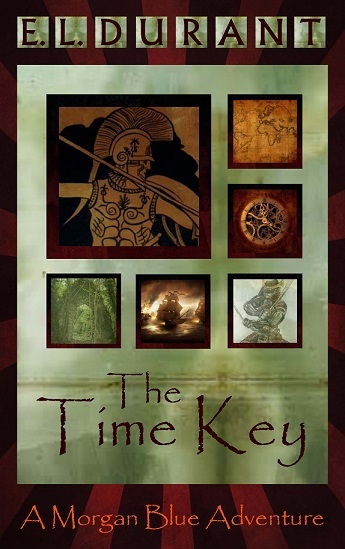 "The Time Key" is the first book in the trilogy. What stage are you at with the other books? 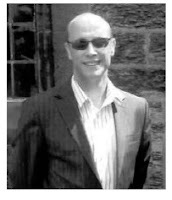 I have completed the first draft of Book two – Three Samurai – and that is scheduled for later this year, dependant on the success of "The Time Key," and how I get on with the adult books I’m currently completing. While book three is mapped out and I have a clear idea of where that will go and how it will resolve. What can readers expect from the other two books in the trilogy? Luke and Chyna will develop, certainly Chyna will become more aware of her powers, but also become less cynical, while Luke will become more caring, certainly of Chyna. As for the stories, they will still have the same pacing, but the themes and stakes will become larger as the multiverse comes to recognise who Luke and Chyna really are, and they realise how vast and evil it is. "The Time Key" is quite intimate, as if a spotlight is being shone on Luke and Chyna, but in the others the scale will increase to match the vastness of time and space. The tone is also darker in book two as they recognise the threat they are under, and the terror that is present in the lives of others. "The Time Key" is primarily about the paintings and establishing the rules of movement within them and how they access the worlds. Book two deals much more with the alternate worlds,especially when Luke and Chyna end up trapped in another world that has developed in a more brutal and terrifying way than their own. The intensity of the battle had darkened the water and made the sun faint with smoke and fury; the sea was ablaze with burning wreckage as the two Napoleonic warships leant towards each other in final battle. Absorbed by the imagery, Luke had failed to notice that the painting was aglow, or that water was spilling from the bottom of the frame. The head of a Komodo dragon crashed through a lower panel of the old door, and its shoulders strained at the thicker boards. The second dragon crashed through after and their combined weight broke the door in two, taking the bottom half from its hinges. The yelping of the hunting dogs was almost overwhelming. But they weren’t important to him any longer. “Luke.” There was panic in Chyna’s voice, as the water swirled around her. She reached out for him. But the water was up to her waist and tugging her away from him. A loud crash split the air as the clamour of the ships’ guns filled the room. Loud and deafening, the boom of sound wrapped itself around him, and his sense of space and place in the old house was lost. He had dashed forward, lunging for her hand as the guns had crashed. Yet there was nothing in front of him but a wall of night-dark water. His feet were no longer on the floor, and he could feel himself tumbling toward the painting. He tried to pull back but he had no purchase, nothing to help him resist. The house, the room, and the two fierce and frightening Komodo dragons, were all lost to him as he was completely taken by the painted sea and the colliding din of war. All there was to him now was the cold, black water. It was like he had plunged from a high cliff into the deepest, coldest sea; nothing but the suffocating sea. He tried to breathe but it was too late. Was this what it was like to drown, he asked himself?